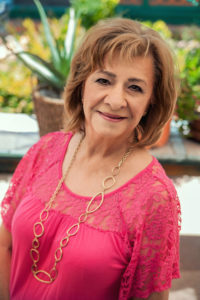 June Foster is an award-winning author who began her writing career in an RV roaming around the USA with her husband, Joe. She brags about visiting a location before it becomes the setting in her contemporary romances. June’s characters find themselves in precarious circumstances where only God can offer redemption and ultimately freedom. Nadia Maguire in A Harvest of Blessing might take encouragement from these words. I stopped in my tracks. The truth washed over me. I am approaching the end of my life. What’s more, as I think about my life, I see one in which I was saved by Christ. Thank God. But I see more. The journey has been rocky. Many times filled with chaos and confusion. Did I really represent my Lord well in all things? By no means. How many times did I stumble, missing an opportunity to love someone else for Christ? And how many irretrievable hours of precious fellowship did I lose with loved ones because I live thousands of miles away? The questions abound and I don’t like the answers. I can never get back the years. The realization hits harder than a cement block. So, is life really this bleak? Yes, without hope, it is. But—here’s the good news. There is hope. God knows we aren’t perfect so He provides grace. In fact, His grace is sufficient because when I’m weak then I’m strong. But how can that happen? I don’t have many more years on this earth. I firmly believe this life is only a prelude to the primary, most important life God has for us. Oh, but, you’re saying it will come after I die? To float around heaven and play a harp doesn’t sound like much fun. I don’t believe that will be the case. I believe we will live on a new earth and have all the time we need to fellowship with our loved ones and accomplish the things we never did on earth. There are some who say I don’t believe what you’re saying, but I choose to believe the Bible and God’s promises. I’ve stumbled through this life, but I believe the next will be glorious, living in perfection because my Savior is perfect. If there’s one thing Nadia Maguire knows, Jon Maguire robbed her of a godly marriage and left her in financial ruin. The night he was killed in an accident, guilt threatened to suffocate her. She wasn’t sorry he died. When Nadia accidentally sits on a stranger’s lap in the graveyard where Jon is buried, she’s horrified to learn the good-looking guy with salt and pepper hair is her new boss. Jared Abrams is a widower who longs to move on. He’s intrigued by the beautiful woman who puts God first in her life. 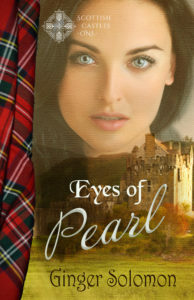 But as their friendship grows, an unexpected obstacle separates them—his daughter Sarah. No one can replace her mother. Especially not Nadia Maguire whose son harmed her in high school. If Nadia can’t find the funds to get her house ready to sell, she’ll have to balance two jobs with no time left to nurture a relationship with the man she loves. 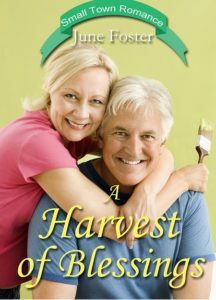 Will she and Jared find a Harvest of Blessings, or a season of drought? 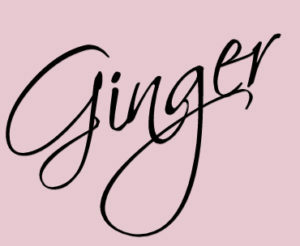 Thanks for featuring A Harvest of Blessings today, Ginger. I hope readers will enjoy this story of romance later in life. God had restored what the cankerworm devoured in my life many years ago! And He did it in ways I never expected and even more than I could imagine. Thanks for your comment, Trixi. I have heard others express the same thing – that they’d like to see more books where the couple is at middle age. I hope you read and enjoy Harvest. It’s based on a true to life story.